Simona was introduced to yoga at the tender age of seven by her parents who were yoga practitioners. But her interest in yoga turned into a passion when she was studying Economics in University. Since then, she has practised and studied under different teachers around the world, including India. As an Ashtanga and Iyengar based teacher, Simona is exposed to various form and styles of yoga including Hatha, Yin and Universal Yoga. She has lived in Singapore for more than a decade and has taught in various yoga centres. Simona is a gifted yoga teacher who has a natural ability to gauge exactly what a class needs at a particular time. Simona creates a wonderful atmosphere in the class where everyone feels encouraged and inspired to progress at his or her individual level. 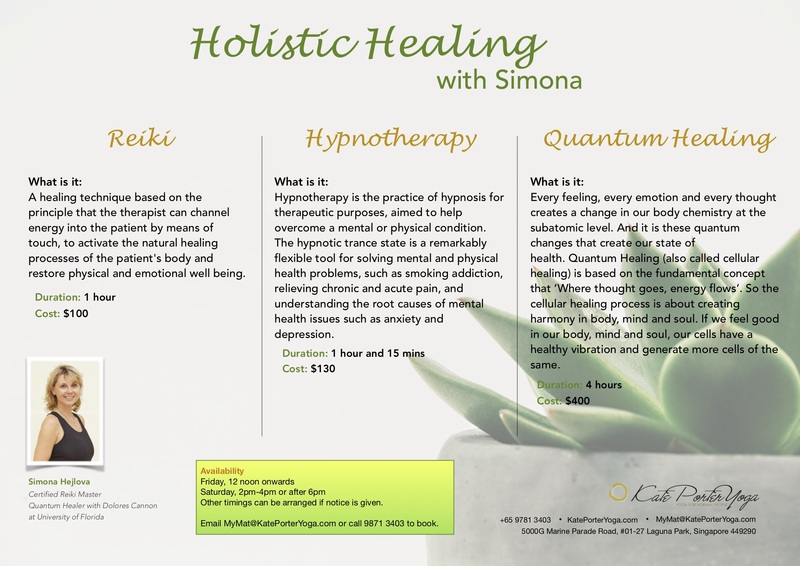 Her classes are invigorating and highly relaxing. She is a yoga teacher who allows her warmth, professionalism and genuine concern for her students to shine through. Read more about Simona’s love affair with Sivananda Yoga below. She also offers holistic healing programmes such as Reiki, Hypnotherapy and Quantum Healing.